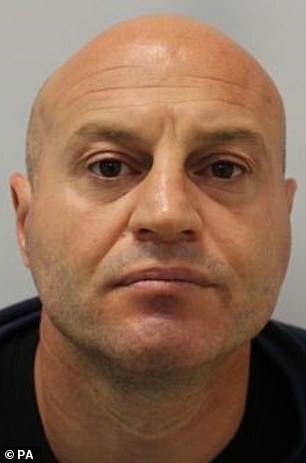 An Albanian serial killer nicknamed 'Tony Montana' is facing life behind bars for hacking his flatmate to death with a cheese knife in a row about a missing wedding ring. 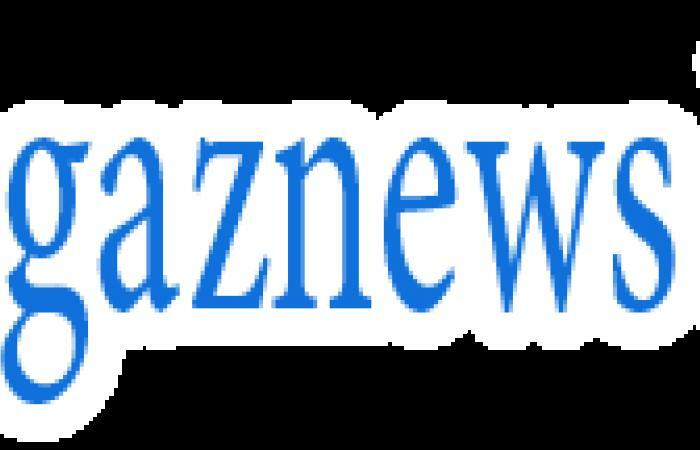 Hitman Mane Driza, 41, fled his homeland in 1997 after shooting dead father and son Elmaz and Lavdosh Kannani in their village of Bishan to settle a deadly blood feud. He arrived in the UK the same year claiming to be a 17-year-old orphan and was given leave to remain until December 2001 as an unaccompanied minor fleeing Kosovo. 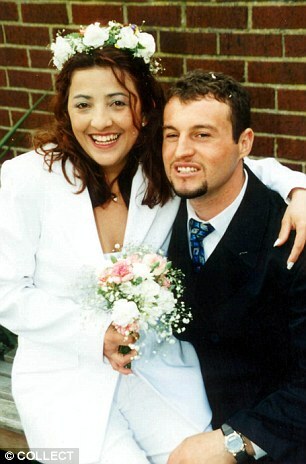 After his marriage to a Brazilian cleaner ended, Driza moved in with fellow Albanian Stefan Mone - the man he would eventually kill. The murder was motivated by Driza's claims Mr Mone, 23, had stolen his wedding ring from his marriage to Roselane Driza. He even told colleagues of his plans. In June 1999, he used a pick axe handle, lock knife and cheese knife to inflict more than 120 wounds on Mr Mone in a 'brutal and merciless' attack. Mr Mone's six-month pregnant girlfriend Zoe Blay found his body the following day but could only identify him by his distinctive belt buckle. The last time she had seen him was at a pre-natal appointment in hospital, where they had discussed the birth of their baby. The tip of a lock-knife was found embedded in the back of his skull. 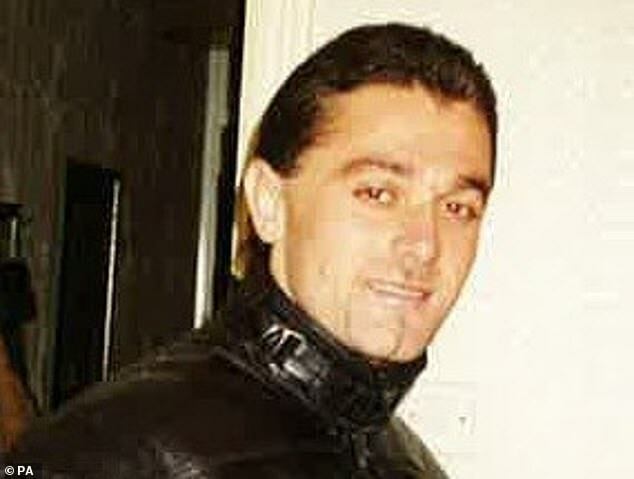 Within hours of the murder, Driza was on a flight to Milan from Stansted Airport.